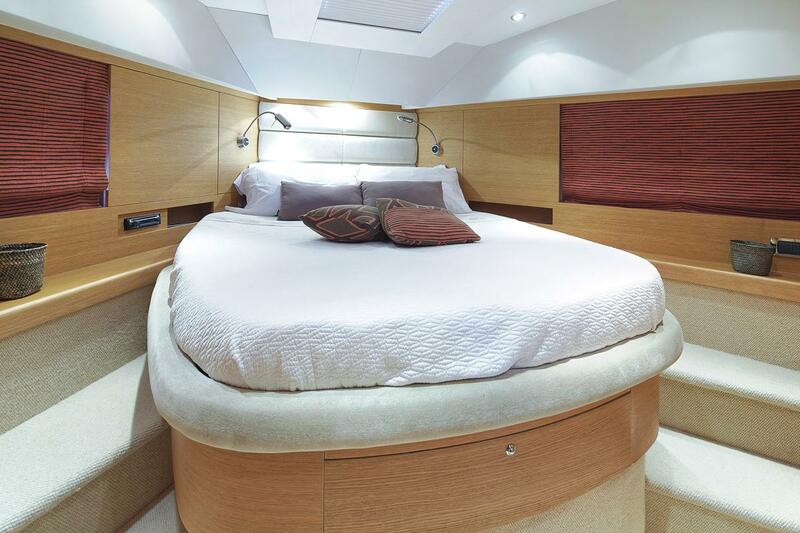 Motor yacht ARWEN is a 22,45m (73,8ft) 72SL open hardtop, delivered in 2007 by Aicon Yachts and entirely refitted in 2016, offering accommodation in 4 cabins, for up to 8 charter guests and 2 crew. 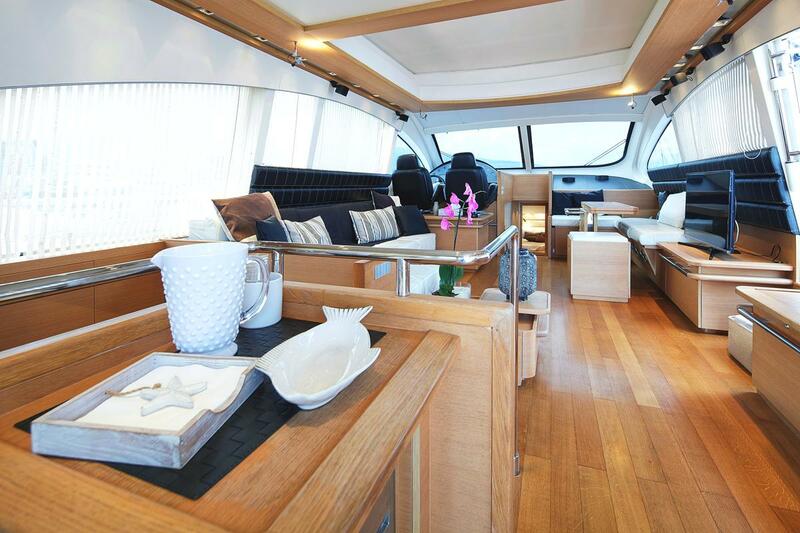 This sleek RINA-classed motor yacht has plenty to offer, with ample interior and exterior living spaces. 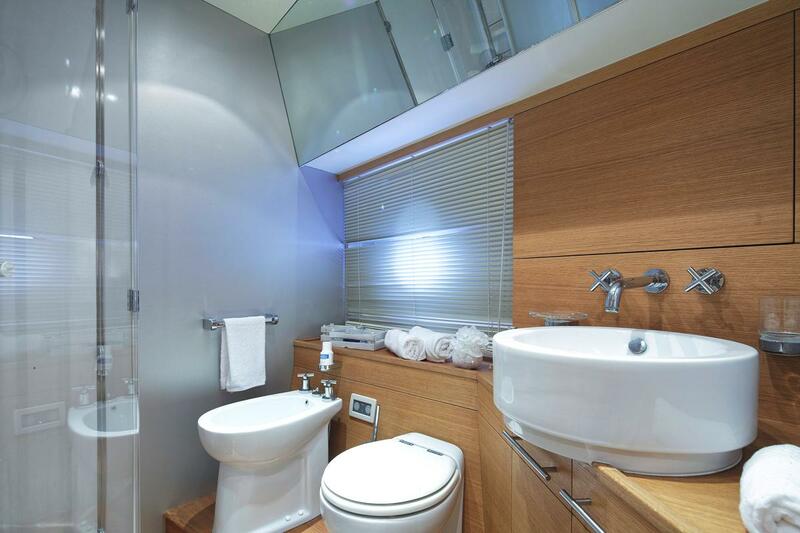 Her contemporary salon is bright and airy, filled with natural light. 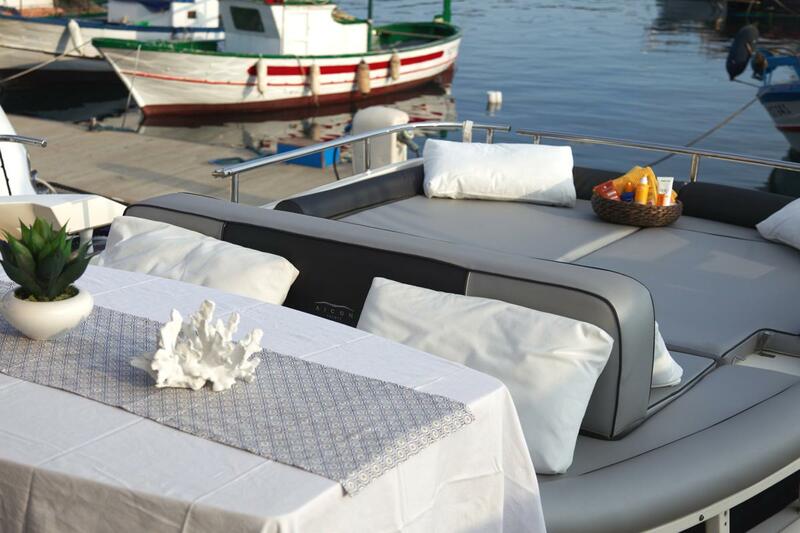 She boasts an overhead moonroof panel that retracts hydraulically, enabling one to enjoy the sun and starry sky from the comfort of the large sofa and fold in bed. 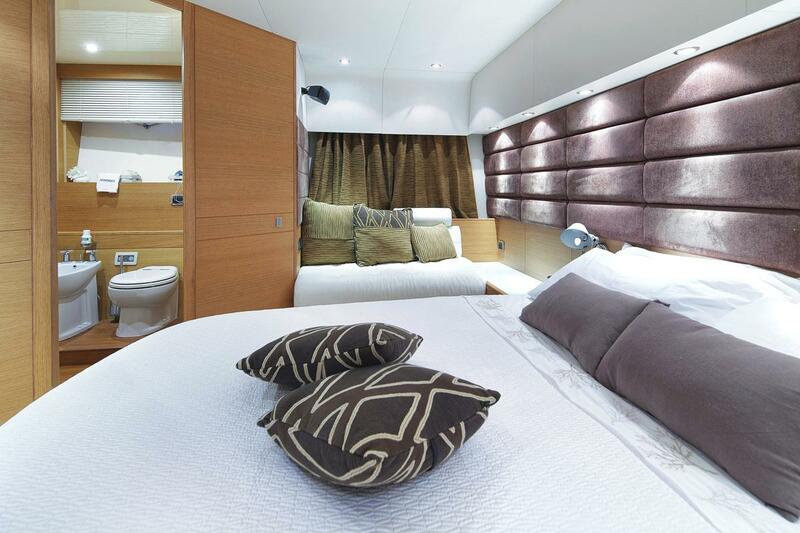 Her extensive interior refit includes all new soft furnishings and detailing, creating a soothing and relaxed ambiance. 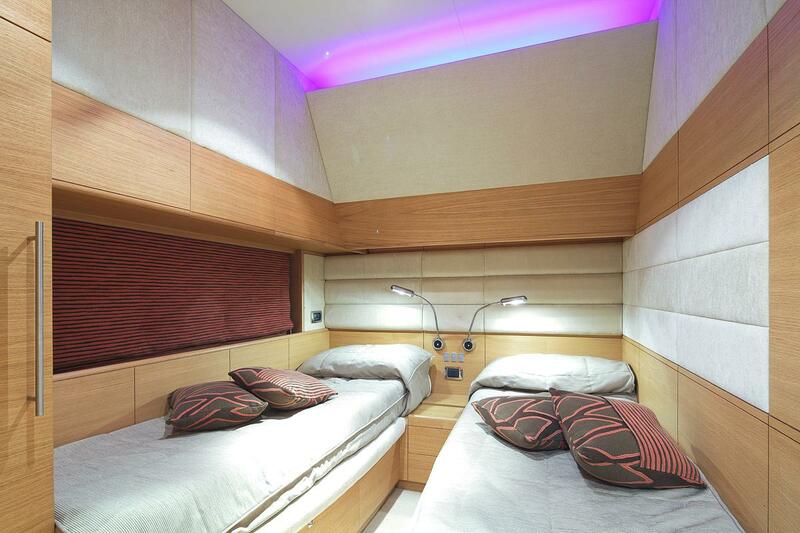 The salon, complete with a LED TV with satellite and Sky channels as well as a bose sound system with airplay connection. 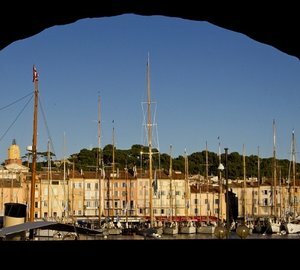 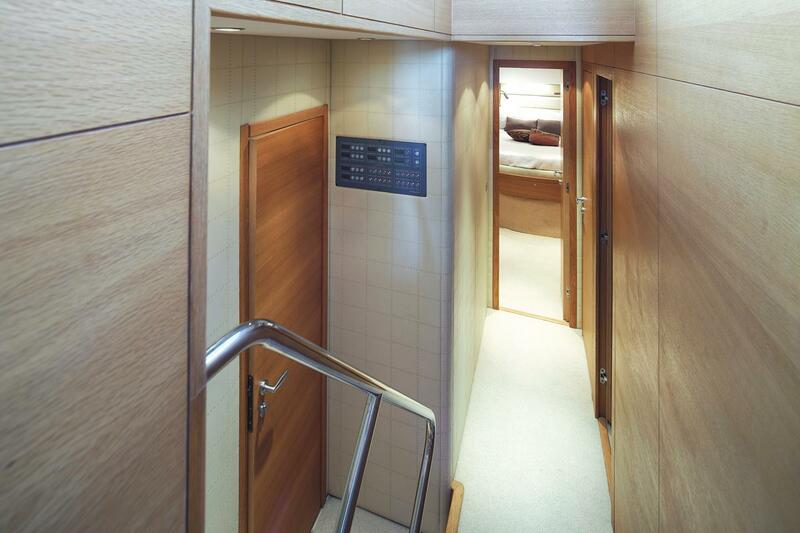 Below decks, her 4 cabin layout can accommodate up to 8 charter guests or 6 guests if a third crew member is required. 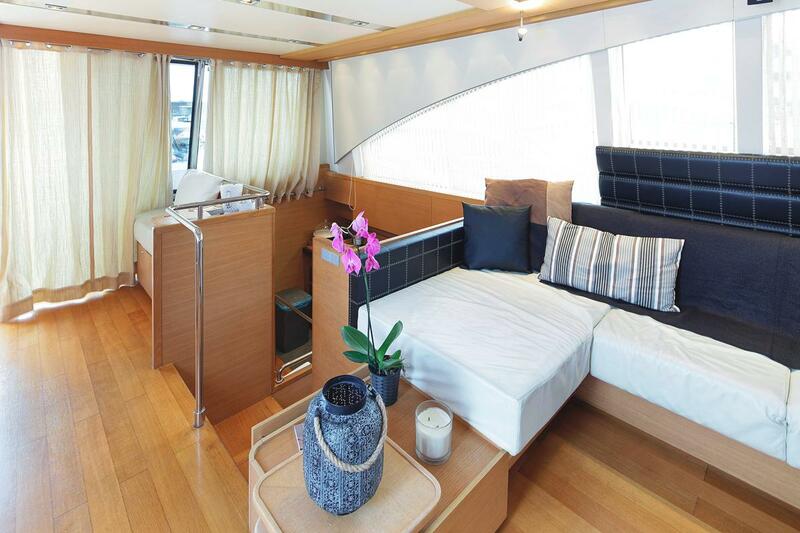 Her comfortable indoor space is matched by a stylish exterior, with generous outdoor spaces where guests can dine comfortably at the alfresco dining option on the aft deck. 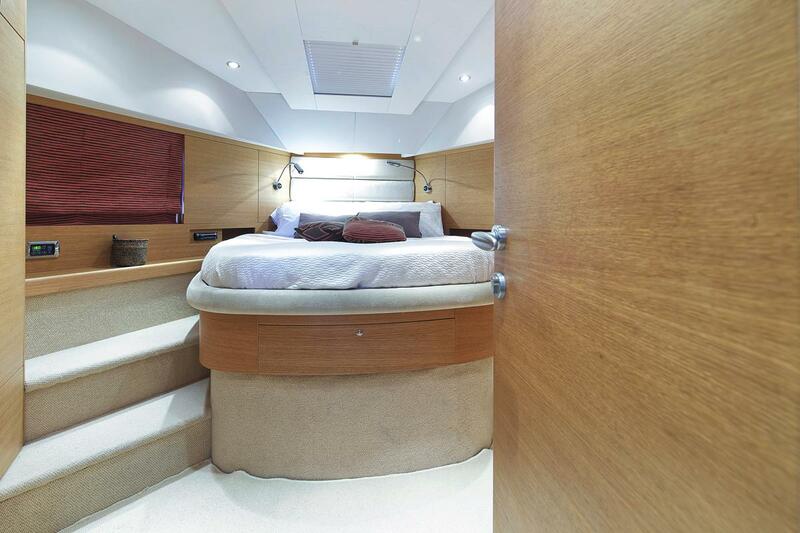 ARWEN is very elegant with her teak flooring on all decks and perfect to soak up the sun with her large sun deck and sunpads on the bow. 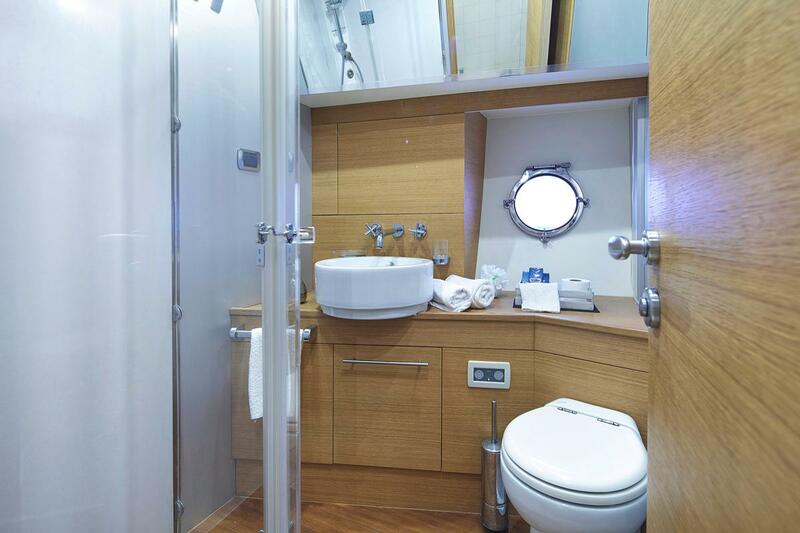 Fantastic onboard amenities allow for that extra fun, with a great assortment of exciting water toys to choose from. 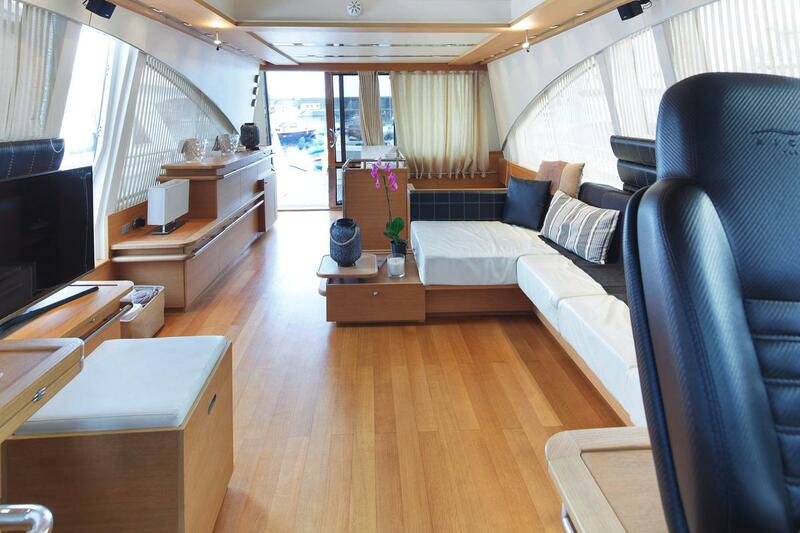 Perfect for lovers of speed and luxury, this Aicon 72 is sporty and slim with a GRP planing hull. 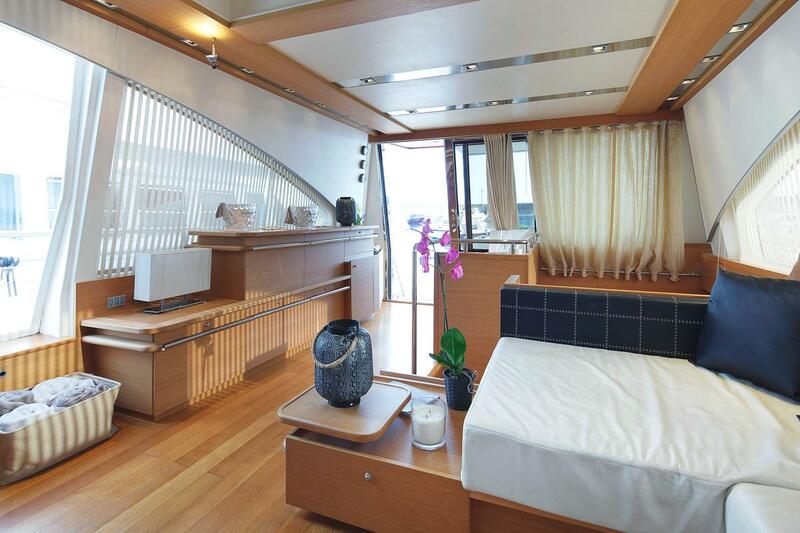 ARWEN is powered by twin CAT 1500 HP engines with cruising speeds of 22 knots and top speeds of 36 knots, for optimum cruising in comfort and style. 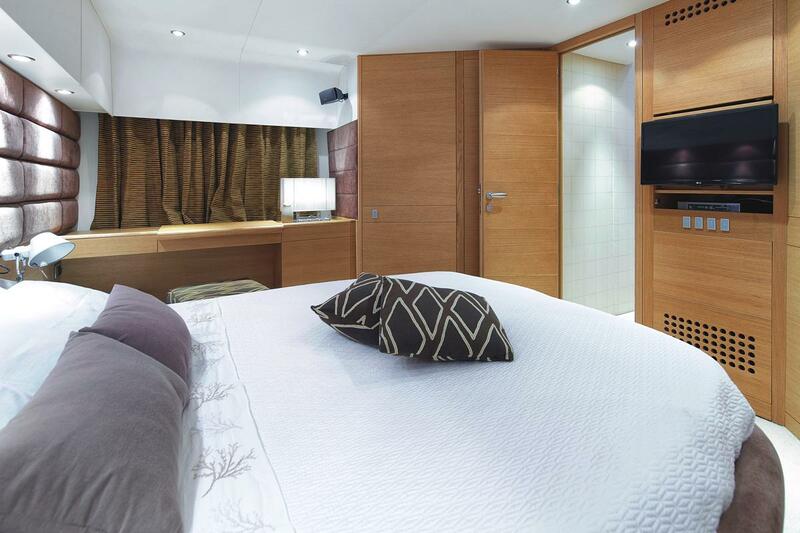 ARWEN is a four cabin layout for up to 8 charter guests. 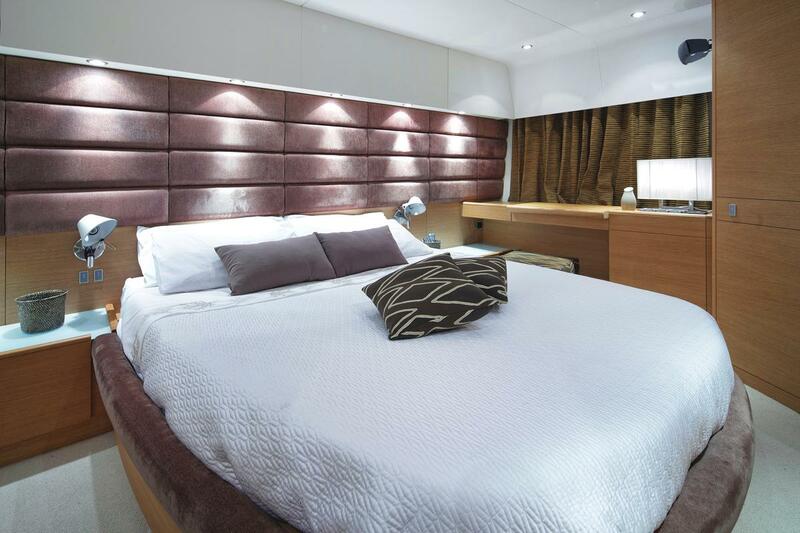 She has a spacious and elegant full beam master stateroom located amidships, that features a king size bed, large bathroom and shower. 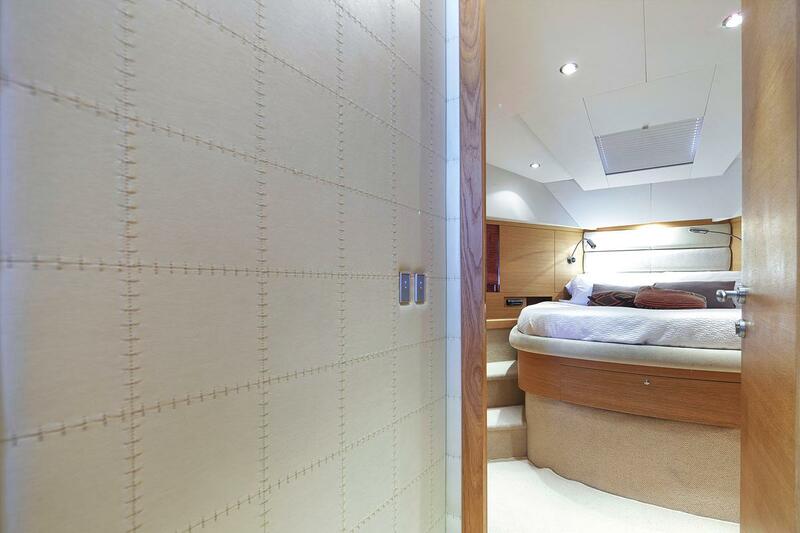 The VIP cabin is located at the bow and features a Queen size bed, also full beam with ensuite bathroom and shower. 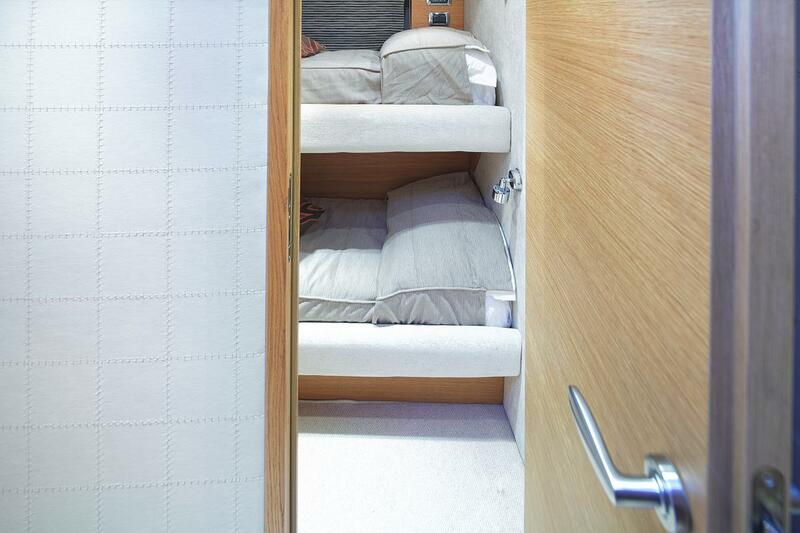 There are two additional twin guest cabins, offering side by side singles berths in one cabin whilst the other is a bunk style.